The Air Force Reserve Officer Training Corps (ROTC) is a commissioning program designed to give college students the opportunity to train to become Air Force officers while completing their undergraduate degree. The AFROTC program is designed to prepare men and women to assume positions of increasing responsibility and importance in the Air Force. Air Force ROTC is available at over 700 institutions of higher learning around the country and consists of 145 host institutions, like Auburn University. Air Force ROTC is a four-year program that can be condensed to three years, if necessary. Four-year Program – The General Military Course (GMC) is the first half of the four-year program, and students generally take these courses during their freshman and sophomore year at Auburn University. This program allows students to "try out" AFROTC for up to two years without incurring any military obligation (EXCEPTION: scholarship students fall under different rules). As you attend class, you'll learn about the Air Force and the historical development of airpower in war. The last two years of AFROTC are called the Professional Officer Course (POC) and are required for all students qualified and wishing to seek commission. All POC cadets are contracted with the Air Force and obligated to serve active duty following graduation and commissioning. Must I attend Auburn University to join AFROTC? In order to enroll in AFROTC classes with Det 005, you must either be a full-time student at Auburn University or Southern Union State Community College (SUSCC). Since SUSCC is only a two-year college, you must transfer to Auburn University after your first two years of AFROTC in order to complete the program with Detachment 005. How do I apply for AFROTC at Auburn University? 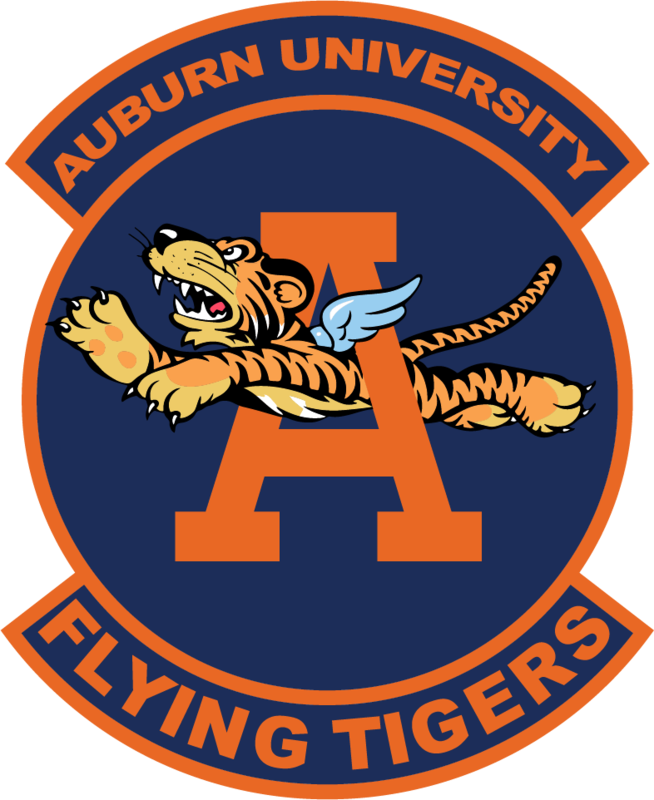 Application for AFROTC at Auburn University begins with enrollment into your first classes, AIRF 1010/1011. All freshmen will enroll in these classes, but sophomore and transfer students will need to speak with the Recruiting Flight Commander to plan out the remainder of their academic plan for graduation and commissioning. Contact the detachment to make an appointment – 334-844-4355. Can I still enroll in AFROTC if I didn't join my freshman year? The program requires a minimum of six semesters for a student to commission. You will have to sit down with the Recruiting Flight Commander to see how many credit hours you have left in your undergraduate degree. As long as you have six semesters worth of credit hours left in your degree program, you can join the program as an AS250 student and take your AS100 and AS200 classes at the same time. You cannot complete your undergraduate degree and pursue graduate courses in order to reach six semesters. I am transferring to Auburn University. Can I still join AFROTC? The same rules apply to transfer students, as do rules for Auburn students not previously enrolled in AFROTC. We need a minimum of six semesters to get students all the way through the AFROTC curriculum. For specific questions, contact the Recruiting Flight Commander – 334-844-4355. Am I committed to serve in the Air Force once I join? The only time anyone in the program incurs a commitment to the Air Force is if they have signed a contract with the Air Force. Contracts are only signed to accept an AFROTC scholarship or for a student to join the POC following Field Training. All other students can walk away from the program at any time without incurring a financial or military obligation. What is Leadership Lab (LLAB)? Leadership Lab is a cadet-run program taken each semester of cadet participation in AFROTC. POC, or upper class, cadets plan, manage, and execute LLAB activities each week. LLAB is a two-hour course that you will register for each semester with Auburn University. It is a pass/fail course with the university and requires successful completion in order to move forward in the AFROTC program. In short, LLAB is the hands-on version of what you learn about in your Air Force class. Field Training is AFROTC's version of "boot camp" with a heavy leadership component. Students will be put under stress, have their military discipline tested, and challenge their emerging leadership abilities. Field Training is four weeks long and takes place between a student's second and third year in the program. Not every student will attend Field Training; students must compete against cadets from around the country who also want to attend Field Training. For those selected to attend, your transportation to and from the encampment (at Maxwell AFB, AL) will be paid for. What are the qualifications to participate in AFROTC? Are there any requirements/standards that I need to meet as a cadet in AFROTC? After graduating from college and completing all Air Force ROTC requirements, you'll be commissioned as a second lieutenant in the Air Force. Non-flying officers serve 4 years on active duty, navigators serve 6 years after training, and pilots serve 10 years after training. Can I still participate in AFROTC if I did not receive a scholarship? Yes, absolutely! Most students who enter the program do so without a scholarship. We will work hard to qualify you for potential in-college scholarships, if you so desire. When do I know what job I will be doing for the Air Force as an officer? You will compete in a selection process that rank orders you amongst all the cadets seeking Air Force jobs in your graduation year. The factors to be used will include your AFOQT scores, your field training performance rating, your GPA, your academic major, your Physical Fitness Assessment score and the Detachment Commander's rating. You will also be asked to rank order your desired career fields in the Air Force, and YES, they do look at your preferences. You will know your specific Air Force job category approximately one year before you are commissioned. What career fields are available for officers? The Air Force is in the business of flying, but not everyone in the Air Force flies planes. Besides pilots and navigators, there are missile launch officers, airfield management, pre-health, nursing, technical and non-technical career fields. Nearly every career area found in the civilian economy is also found in the Air Force. To get a better idea of how many jobs are available to you, see the main Air Force website at www.airforce.com. How do I get my uniforms? Uniforms are free of charge and will be issued to students while they are in the GMC portion of the course. When will I wear my uniform? You're required to wear your uniform on the day you have Leadership Lab (Thursday) as well as during your weekly ROTC class period. There are also certain military social events (Military Ball, Dining-Out, etc.) that require uniform wear. How much time is involved in Air Force ROTC? Your weekly requirements with AFROTC will amount to 5-6 hours of time at the Detachment. You can put as little or as much time into Air Force ROTC as you want beyond that, as long as you satisfy all academic, Leadership Laboratory, and physical fitness requirements. The ROTC staff knows your studies are critical for your success in college, your success in the ROTC program, and your success in the future. Can I pursue a graduate education after I'm commissioned? The Air Force is education-oriented and financially supports graduate studies. You can apply for the Air Force Institute of Technology (AFIT) to earn an advanced degree on full scholarship. Additionally, most bases have graduate college programs, and you may apply for the tuition assistance program that pays for $250 per semester credit hour of the tuition cost. How do I know what to do when I get to Auburn University? When does AFROTC start? The Recruiting Flight Commander will receive your contact information from Headquarters once you declare that you are attending Auburn University and you accept your scholarship. From there, register for the soonest Camp War Eagle session you can to get first dibs on class registration! While you are at Camp War Eagle, it is a great time to stop by the Detachment to meet the Recruiting Flight Commander, take a tour, and get additional questions answered. At CWE sessions, registered students will be invited to attend AFROTC New Student Orientation which will take place just prior to the start of school. It is mandatory for scholarship recipients and optional (but highly encouraged) for all others. This packet of information will tell you everything you need to bring in order to contract you with the Air Force during New Student Orientation. How do I receive my monthly stipend and textbook refund? As a scholarship cadet, your monthly stipend starts when you contract with the Air Force. This stipend amount varies depending on your academic year. In addition, cadets on scholarship receive about $300 per semester for textbooks. You'll need to have an active bank account in order for the Air Force to directly deposit both of these allowances in your account. Does the scholarship pay for room and board? No, the scholarship does not pay your room and board. As a scholarship cadet, what should my parents do if they receive a tuition bill? First, don't panic! Quite often it takes time for all the paperwork to catch up and you may receive a bill showing you owe money. Simply bring it into the Air Force detachment and we will take care of it. If I have an ROTC scholarship, is it possible to change my academic major? Yes, but it's difficult and should be attempted only after a lot of thought and with a valid reason. The Air Force offers scholarships only in specific majors.